It’s been almost two years since the day the group of people currently working at “Pagaki” on G. Olymbiou street in Koukaki started discussing the possibility of creating a kafeneion, a traditional Greek cafe, as a space for encounters. The idea began from the common need to try to/ and answer our problem about ‘work / labour’. Most of us were recently made redundant; some of us were engaged in precarious work in conditions hostile to any sense of dignity and creativity. We wanted therefore to try out a different type of work; one based on ideas of the collective, based on relations of respect, camaraderie and solidarity between us. Our desire for this experiment brought us together in late 2008. This was no accident. Our paths had converged systematically from diverse backgrounds. We were inspired from the diversity of initiatives springing up around the world in times of crisis: instead of surrendering to the defeat of pauperisation and despair, people attempt to provide collective solutions to the problem of daily survival. We also drew from the experience offered from our participation in ‘Sporos’, a cooperative of alternative and solidarity trade. We dared to put into practise a proposal for a different means of organising the process of production – a proposal still in the making, rendering it difficult to describe it in its entirety. In this way, the kafeneio belongs to all those who are running and working it each time, participating in the collective. All the members contributed to its creation according to our economic abilities, and yet have taken on equally the risk and responsibility. If profits emerge after wages have been paid, these are not distributed amongst us, but primarily contribute to a savings fund set up to pay off our internal borrowing, thus create the conditions for current members to be officially independent from the collective itself. Subsequently, the / surplus funds will be used to support other collective initiatives which aspire to similar prospects. Our decision making body is the assembly made up from the members of the cooperative, meaning from the workers. As our means for decision making we attempt to reach the highest degree of consensus between our members. Our proposal is far from complete. It is not a proposal which is just about us, just an initiative to solve the individual problem of work we each face. We aspire that it will constitute an experience useful to many more than the current members of our collective. We place our action amongst the wider current of social change, the global social movement that strives to touch all aspects of life, resisting the established norms, and which explores and creates new ways of living. Besides the work relations, we strive to fulfil many of our other desires within this space, to the degree that this is possible. From this basis and to the extent that it is indeed possible, we prefer collaborating with small producers or communities of producers; we choose to serve and distribute the products of alternative and solidarity trade (coffee from the Zapatista cooperatives, sugar from the landless peasant movement in Brazil etc) maintaining prices within the kafeneio which are accessible to all. We have also chosen to encourage and support free music (Creative Commons, Public Domain and independent productions) because we dislike “intellectual property rights” which strangle the creativity in music and whose revenues never finds its/their way into the artists’ hands. Using this same criterion, we have also decided that our collective should run and work as a place to host information sharing events and discussions which may detect the roads of self organisation, self management and direct action. We know that all of this may seem disparate / few and far between, or piecemeal. Difficulties and contradictions are ahead in every step we make. However, we want to search for collective over individual answers, and try them out in practise, using the experience of similar previous endeavours. We want to carry out a daily existence which will include the work relation as an integral creative part of it, and not as a form of slavery, like a time within the day that one just wants to forget. And so we made the kafeneio. Our kafeneio. It is open from the morning till late in the evening. We offer/ serve coffee, herbal teas, juices, soft drinks, raki, ouzo, beers, drinks and all the necessary accompanying mezzes. Above all, we offer a place to meet, to entertain and to create, to share questions, ideas and dreams. To share with you the “Pagaki”. 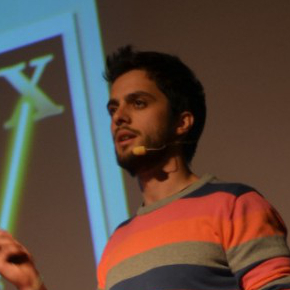 Vasilis Kostakis is Senior Research Fellow at the Ragnar Nurkse Department of Innovation and Governance, Tallinn University of Technology, and the Founder of the P2P Lab.